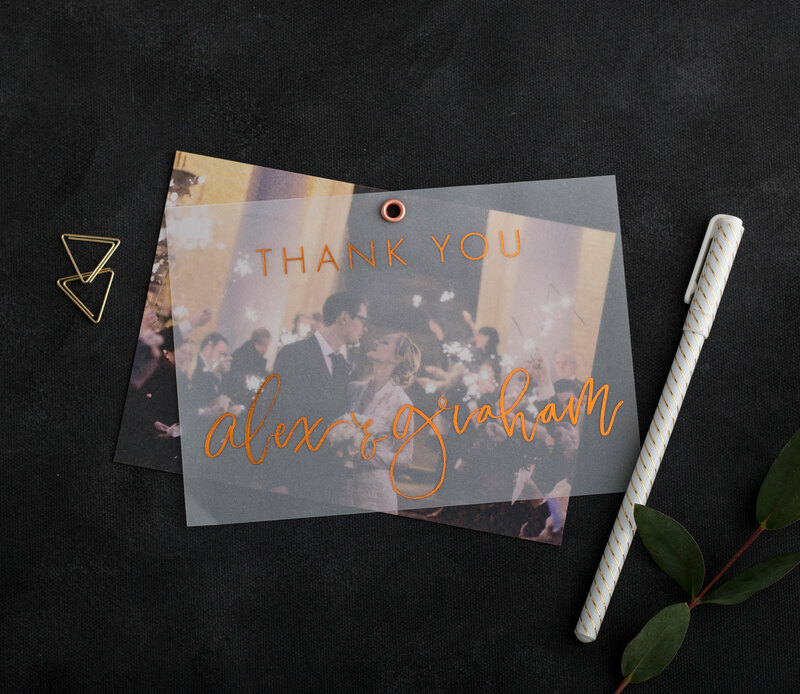 Our double layered vellum photo thank you cards are an amazing way to say thank you to your guests. Combining your favourite photo from your day with either a vellum layer secured with a matching eyelet. These can be printed in a myriad of ways to match your suite, and costs are as below, with a minimum order of 25. Don’t want a double layer? Each of our house collections also has a matching thank you card design.